Home Tags Posts tagged with "heinz"
Kraft Foods Group and Heinz are to merge creating what the companies say will be the third-largest food and beverage company in the US. The deal was engineered by Heinz’s owners, the Brazilian investment firm 3G Capital, and billionaire investor Warren Buffett’s Berkshire Hathaway. 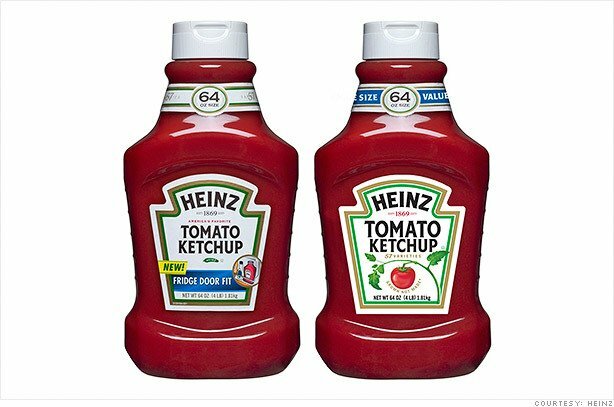 Current Heinz shareholders will own 51% of the combined company with Kraft shareholders owning a 49% stake. The combined company’s brands will include Kraft, Heinz, and Oscar Mayer. Warren Buffett, Berkshire Hathaway chief executive, said: “I am delighted to play a part in bringing these two winning companies and their iconic brands together. 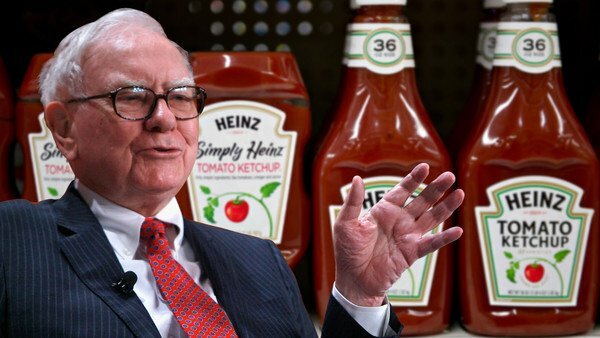 3G and Berkshire Hathaway bought Heinz two years ago for $23 billion and took the company private in 2013. Kraft shareholders will receive a special cash dividend of $16.50 per share as part of the deal. A special dividend payment of approximately $10 billion is being funded by Berkshire Hathaway and 3G Capital. Heinz former CEO, chairman and president William Johnson received $110.5 million for the final eight months of 2013, the food company disclosed in a filing to US regulators. Heinz current boss Bernardo Hees, who joined the company in June, received $9.2 million. Bernardo Hees has cut more than 3,400 positions and closed factories in an effort to boost profits. 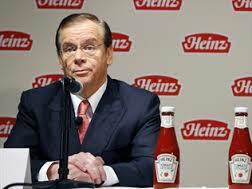 Heinz was bought by Warren Buffett’s Berkshire Hathaway and 3G Capital for $28 billion in February 2013. The company, whose products include ketchup, baked beans, and a variety of frozen meals, reported a net loss of $71.7 million from February to December 2013. Heinz announced the closure of three US plants in November and two European processing plants in February this year. Nonetheless, Warren Buffett recently said in an annual report to Berkshire Hathaway’s shareholders that he expected 2014 earnings at the firm to be “substantial”. 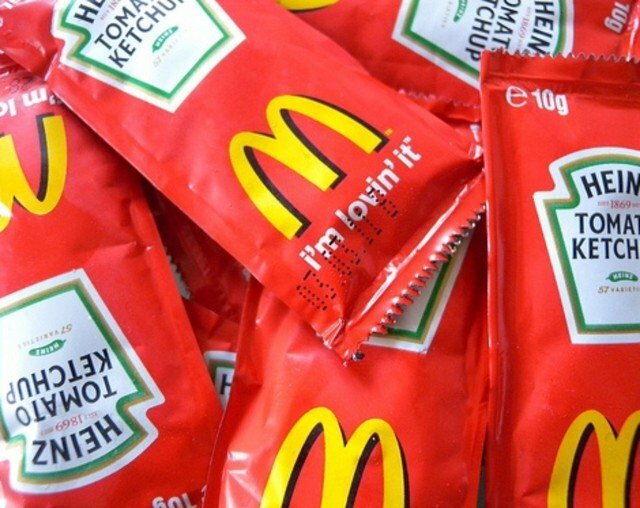 McDonald’s has decided to stop serving Heinz ketchup in its stores after 40 years. McDonald’s said it would drop the ketchup after Bernardo Hees, the former head of rival Burger King, took over as Heinz’s chief executive. “We have decided to transition our business to other suppliers over time,” the world’s biggest fast-food chain said. In February, Heinz was purchased in a $28 billion takeover. The company said that it would work with Heinz “to ensure a smooth and orderly transition of the McDonald’s restaurant business”, which has 34,000 restaurants around the world. Bernardo Hees took over after Heinz was bought by Warren Buffett’s Berkshire Hathaway and Brazilian investment fund 3G Capital. Burger King is controlled by 3G Capital. McDonald’s uses Heinz ketchup at many stores around the world, though only in Pittsburgh and Minneapolis inside the US. “As a matter of policy, Heinz does not comment on relationships with customers,” the ketchup-maker said. 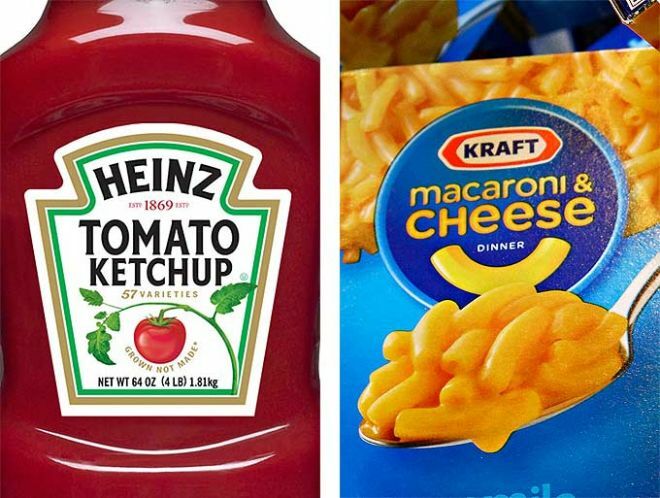 The FBI is joining an investigation into suspicious trades ahead of the Heinz takeover deal last week. The US financial regulator, the Securities and Exchange Commission (SEC), is already suing unnamed traders for insider dealing. Last Thursday, Heinz was bought for $23 billion by Warren Buffett’s Berkshire Hathaway fund and 3G Capital. Unusual trading activity in the shares was noticed the previous day. “The FBI is aware of trading anomalies the day before Heinz’s announcement” a spokesman said. The SEC believes that some traders knew about the takeover before it was announced and made $1.7 million from the knowledge. It obtained an emergency court order to freeze assets in a Swiss-based account. The traders in question made risky bets that Heinz’s stock price would increase, using financial instruments called options. After the official announcement of the deal Heinz’s share price rose by 20%. “Irregular and highly suspicious options trading immediately in front of a merger or acquisition announcement is a serious red flag that traders may be improperly acting on confidential non-public information” said the SEC’s head of the Market Abuse Unit, Daniel Hawke. There is no implication that Heinz or its new owners have committed any wrongdoing. The SEC said a bank account at Goldman Sachs was used. Goldman Sachs has said it is co-operating with the investigation. Warren Buffett is set to buy food giant Heinz in a deal worth $28 billion. Warren Buffett’s Berkshire Hathaway company and private equity firm 3G have agreed to take over Heinz, famous for its ketchup and baked beans. In a statement, Heinz called the deal “historic”, and the largest to date in the food industry. Shares in Heinz soared nearly 20% in New York to hit the $72.50 price being offered. And Class A shares in Berkshire Hathaway rose 1% to $149,240 a share – a record closing high. The takeover has been approved by the company’s board, but still needs to be voted on by shareholders. “The Heinz brand is one of the most respected brands in the global food industry and this historic transaction provides tremendous value to Heinz shareholders,” said Heinz chairman, president and chief executive William Johnson. The deal will marry one of the best-known brands in the food industry with one of the US’s most famous businessmen. Warren Buffett is one of the richest men in the world, having amassed a multi-billion-dollar fortune over decades of investing. His investment expertise has earned him the nickname “the sage of Omaha”. “It is our kind of company,” Warren Buffett told CNBC. “Anytime we see a deal is attractive and it’s our kind of business and we’ve got the money, I’m ready to go,” he said. 3G Capital also owns the fast-food chain Burger King. The deal will offer shareholders $72.50 a share, a 20% premium on the company’s previous all-time high share price. Berkshire Hathaway will contribute $12-$13 billion in cash to the deal. In total around $23 billion of the deal will be in cash, with the rest in debt. Heinz has been operating in the US market since it was founded in Pittsburgh in the late 19th Century. 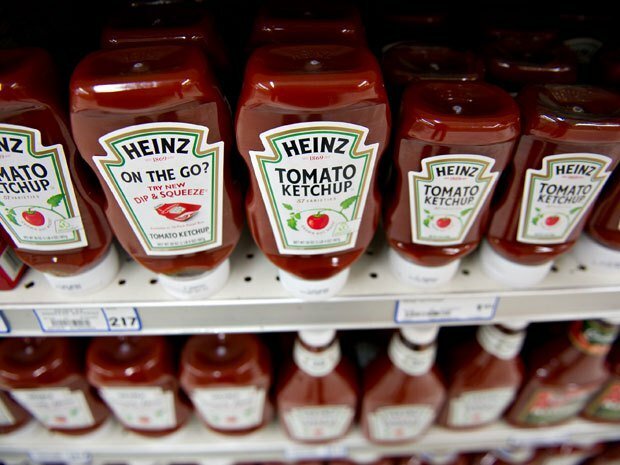 Heinz says it sells 650 million bottles of its ketchup worldwide every year. Emerging markets make up around a quarter of its global sales, Heinz said. At a press conference following the announcement of the deal, 3G Capital’s co-founder Alex Behring assured Heinz employees the 144-year-old business would continue to be headquartered in Pittsburgh. But he said it was too soon to discuss potential cost-cutting measures. If agreed, the deal would be the latest in a string of big deals announced recently, after merger activity suffered during the global financial crisis. Earlier American Airlines and US Airways confirmed plans to merge, in an $11 billion deal to create the world’s biggest airline, and last week computer maker Dell announced a planned $24 billion takeover by its founder Michael Dell. The UK’s Virgin Media is also set to be bought by Liberty Global for $23.3 billion.